Hailing from the state of Illinois, Run Kid Run is a 4 piece pop rock band with huge hooks, infectious melodies, and uplifting lyrics. 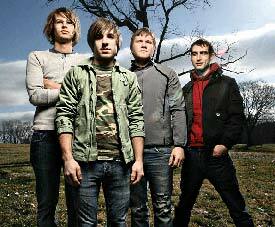 Their debut full-length, "This is Who We Are," was produced by James Paul Wisner (Dashboard Confessional, Further Seems Forever, New Found Glory). ""This Is Who We Are" is about finding your true sense of self, and then holding on to that with all you have," says guitar player Neil Endicott. "We want people to have something they can listen to that makes them feel better about whatever is going on in their life." With a record that is guaranteed to make you sing along, don't pass up the chance to experience Run Kid Run for yourself.